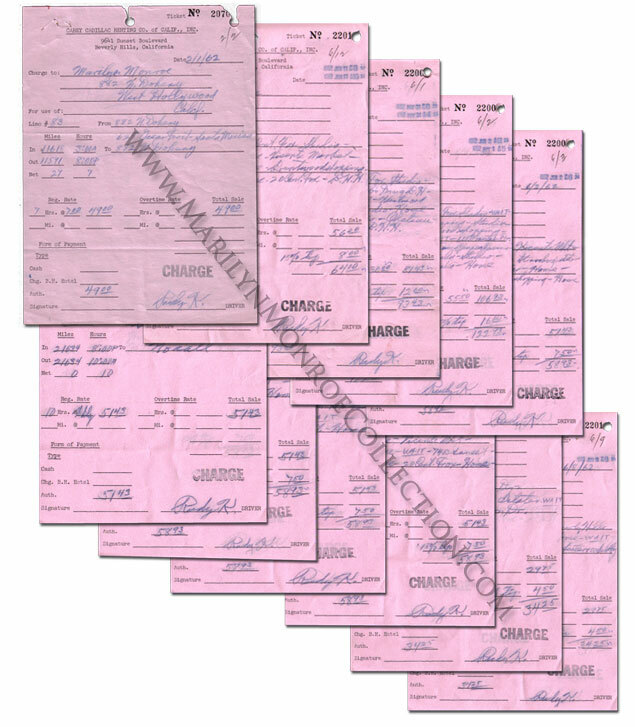 From the personal files of Marilyn Monroe: Eleven receipts from the Carey Cadillac Renting Company, outlining in great detail Marilyn’s travels on days in February, May and June, 1962, including Marilyn’s final day of shooting on “Something’s Got To Give” on June 1, which was also her birthday. Below: Marilyn Monroe being driven away from the set of “Something’s Got To Give” on June 1, 1926. This was Marilyn’s final day of shooting on the film which was ultimately never completed due to her death.